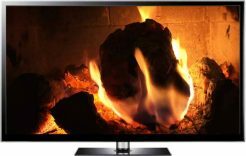 4K Fireplace Video is one of the highest quality Ultra HD fireplace videos currently available. Ultra HD, UHD and 4K equates to a massive improvement in video quality. You can also choose to download the Full HD option (down-scaled from 4K), which will also be higher quality than our previous HD fireplaces. A perfect background video for Thanksgiving and Christmas. Please be sure to select 2160p 4K once the video starts from the cog/wheel settings icon in the bottom left of the sample video, if you have a 4K screen. You may need to let it load for a few seconds depending on your internet speed. 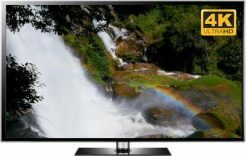 We then recommend pressing the full screen button, you really need to watch this video on a 4K TV to really appreciate the superior quality, but you may notice the sharper detailing on smaller resolution screens. 4K Fireplace Video has a simple name because it is a milestone; our first Ultra HD 4K fireplace video. Filmed on one of the best low light cameras in the world, the video is absolutely stunning when it comes to resolution, detail and color reproduction. The resolution is 4 times higher than Full HD. The file size for the MP4 4K download is larger, hence the price jump, the Full HD version is just 1.1GB. 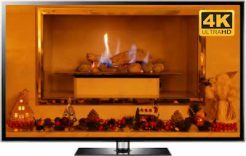 Why choose this 4K Fireplace Video? 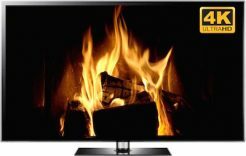 The most obious reason to buy this 4K fireplace video is that it is 4 times bigger in resolution that a Full HD video! 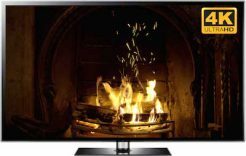 On a large 4K screen that makes a massive difference, especially as we filmed this real log fire with a superb low light camera. Which really captures the details of the flames and burning logs beautifully. 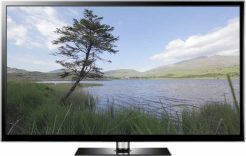 Our 4K virtual fireplace videos are encoded in the latest H.265 (HEVC) codec. This has allowed us to keep the files sizes similar to the Full HD versions (which use the older H.264 codec for older devices). 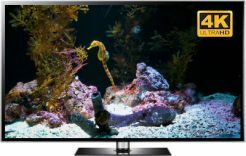 The 4K videos are delivered as MP4 files still, but they do seem to be more compatible with more modern SMART TV manufacturers. 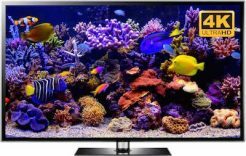 They work on all the bih name UHD SMART TVs we tested from Sony, Samsung and Panasonic. 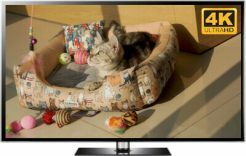 However we have also had reports that the new H.265 videos are working on some smaller brands now like Vizio. 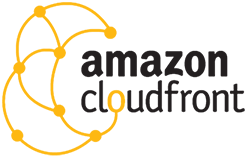 If unsure just download a free sample clip to test by clicking here. Please note: 4K videos cannot currently be played on all media players and devices. It will play on many computers by using Classic Windows Media Player or VLC (a superb free media player available for Windows and Mac OS X). 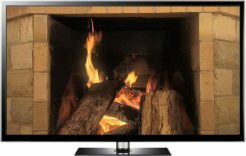 If you play it on VLC you can select repeat and you will then have a looping 4k fireplace video. 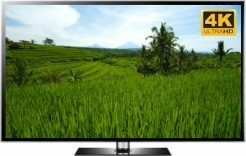 If you have the means to stream your laptop or PC screen onto your 4K TV, you can also use this as a 4K fireplace video TV screensaver. This can apparently be done using the popular video player app Kodi (XMBC) using their playlist function. 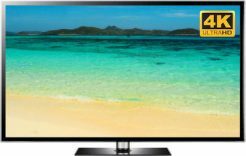 The very large Ultra HD SMART TV sets are when you will really notice a difference in quality. The bigger the screen, the more that the footage needs to be stretched. The 4K version looks great even on the biggest UHD TV screens. 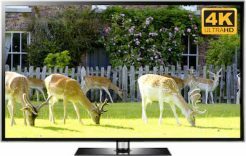 Some people find 4K too realistic, for example when watching dramas. However for our videos that extra realism from the amazing crystal clear quality makes this almost as good as the real thing, especially if you have a surround sound system. The screensavers are 4K or Full HD, 3 minutes, self looping apps, just like any other screensaver. As always you will be given long term access to the download/s. This is an amazing update to the old best seller Brass Fireplace (which was Full HD only). I have seen this on a 4K screen and it looks stunning. Will be downloading as soon as my UHD TV arrives. Wow, this is easily your best fireplace video so far. Looks absolutley amazing on my 4K UHD Samsung Smart TV. 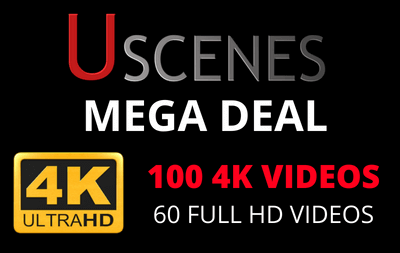 Well done Uscenes, loving the new higher quality of this and the other 4K videos. A Hi Bill, to get this on your SMART TV please download the video to your computer. Then add it to a USB memory stick (flash drive). Then plug that into your TV. Then just play it on the built in media player and don't forget to select Repeat to have it loop. If you use a media canter to stream videos from your PC's hard drive then you could stream the video instead. If still unsure please try a sample clip from https://www.uscenes.com/try-uscenes-downloads/ before buying. 4K Fireplace Video is our very first Ultra HD fire footage. It is actually a re-shoot of our most popular Full HD fireplace: Brass Fireplace. Which sells massive amounts especially over the holiday season when people want a warming background video for Christmas Day and other holidays. The resolution of the video is 3840 x 2160 in pixels. This sounds just twice the size of Full HD (1920 x 1080), but it is actually 4 times the resolution. 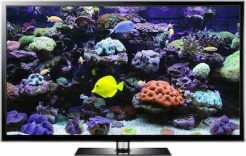 4K is also known as Ultra HD, which is abbreviated as UHD. Technically the Ultra HD or UHD are more accurate as the 3840 pixels wide image is just below 4K (4,000). 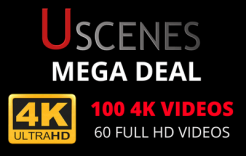 Some movies are filmed in what is known as Cinematic 4K which is the same height, but wider. Our tropical collection was filmed in this wider resolution, but we stopped using it because it meant chopping the edges off the videos. 4K Fireplace Video currently comes with Full HD screensavers for free. We are working on separating everything soon. 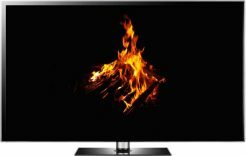 This is so that we can offer a separate option of a 4K fireplace screensaver. We are currently testing these computer applications. 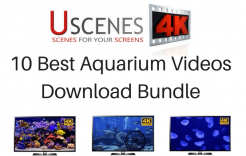 We hope to have a 4K screensaver available before Christmas. 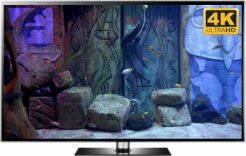 At the present time many computers are not capable of smoothly playing back 4K UHD footage, so we are testing different lengths and bitrates to try and find a sweet spot that will work for most people. 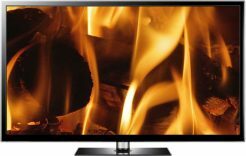 For now the only hope of getting a 4K fireplace screensaver is to loop the MP4 video in this download on your computer, or on your TV. 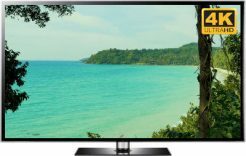 The file will work on all Samsung SMART TVs with UHD resolution. For other manufacturers you will need to check if your model supports MP4 playback. On computers and laptops there is less chance of smooth playback because we have not caught up to the new resolution yet. Even high quality Apple computers can have trouble. 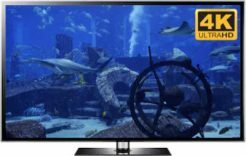 The good news is that the software and hardware developers are now supporting Ultra HD 4K resolution in new releases. The screensavers we create are playing back more smoothly than the actual videos, so if you are looking for a 4K fireplace screensaver, please check back to Uscenes soon. If you are an existing customer we will be sending out a free sample at some point in the fall/autumn.